Just when you thought leopard had used up its nine lives, the popular print gets another shot at the big time. But this go-round, the catty pattern isn’t alone. 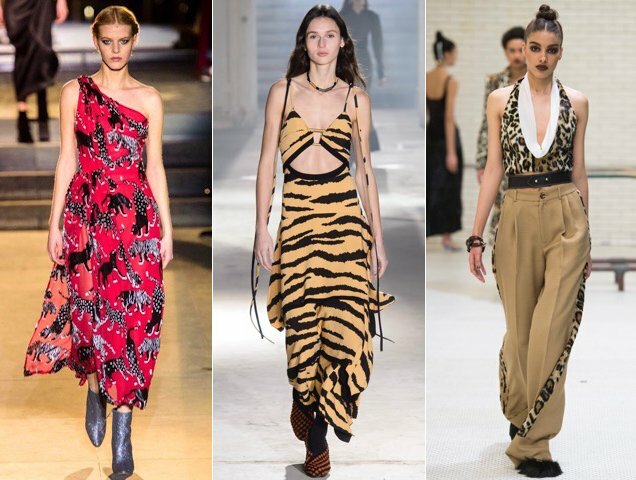 Over the past two seasons, designers have fallen back in love with everything from tigers to zebras and even snakes. The beauty of animal prints is that, despite their bold background, they actually function as neutrals you can build almost any outfit around. The recent Fall 2018 collections were packed with animal prints. Carolina Herrera opted to include actual animals with some of her animal prints, decorating dresses with a range of critters. Proenza Schouler favored an exotic tiger print in both coat and maxi dress form. Area was all about the leopard, from clutches to jackets to pants to halter tops. Victoria Beckham, Tom Ford, Calvin Klein, Diane von Furstenberg, R13, Zadig & Voltaire and Michael Kors also joined in on the feral fun. For Spring 2018, Christian Dior added a pop of leopard by (over)styling a patterned skirt with a striped top boasting a semi-sheer overlay, a netted cap and lace-up boots. Donatella Versace also engaged in a little pattern play by working leopard prints into practically everything. 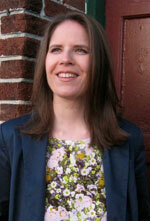 We’re talking pantsuits, slip dresses and sculpted skirt minidresses. Miuccia Prada showed her stripes by incorporating the tiger kind in numerous outfits, including this covet-worthy coat. 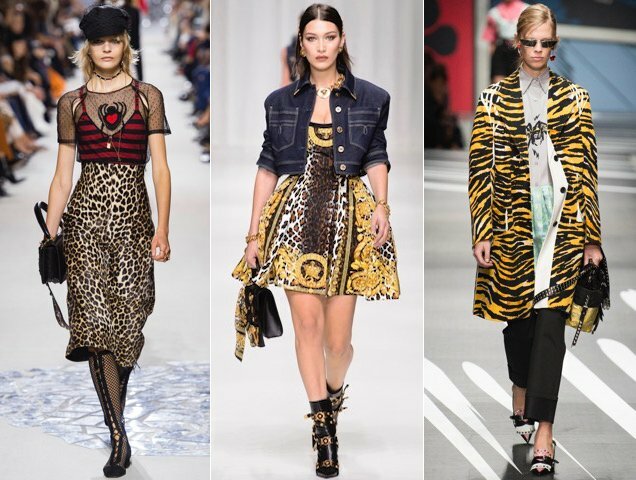 Other brands on the animal print kick included Balenciaga, N°21, Stella McCartney and Saint Laurent. And the fierce trend has trickled down to the streets. 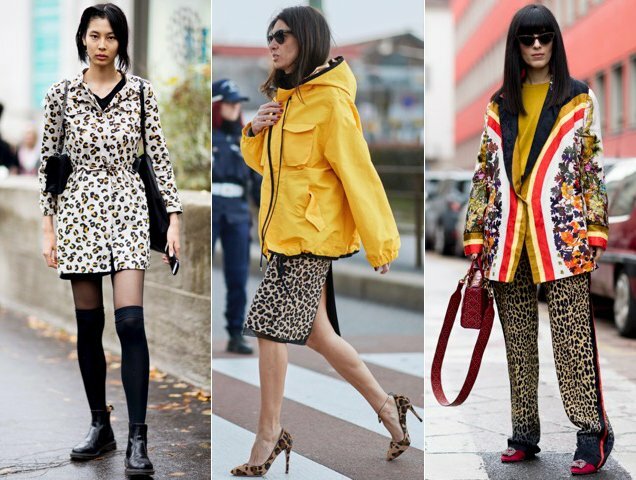 We spotted (pun intended) leopard prints on shirtdresses combined with black knee-highs and chunky boots, skirts topped with statement raincoats, capped off by complementary but not coordinating patterned pumps and loose-fitting pants paired with a blooming blazer. Stylish sister act Cipriana Quann and TK Wonder did wonders for Roberto Cavalli’s Spring 2018 line by wearing the hell out of the brand’s zebra printed ensembles (scroll back up to the top of the page to bear witness). Ready to walk on the wild side? Here are 17 animal print picks you can mix and match with almost anything.